This luxury collection of leather household electrical fittings are available in the 2 real leather finishes of cream and tobacco tan. 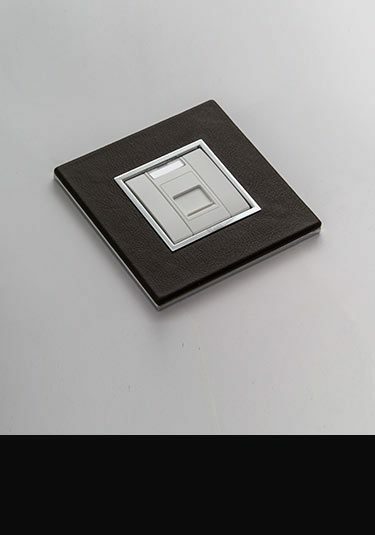 These leather switches and sockets are beautiful European quality and contemporary Italian styled for the UK market. We offer a full collection of luxury electrical fittings including TV, satellite and telephone points, cooker points plus the full range of household plug sockets and rocker light switches. These designer electrical fittings are supplied to special order please allow 3 weeks for delivery. 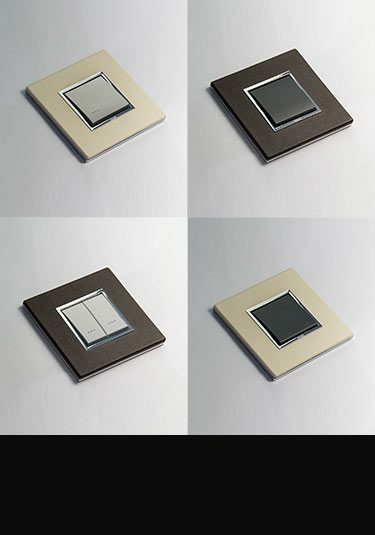 Luxury collection of real leather light switches available as a rocker or dimmer switch. These designer electrical fittings are Italian designed for the UK market and supplied in cream and tan leather. Real leather designer plug sockets finished in cream and tan leather. Part of a full range of matching household electrical fittings. Beautiful Italian styling. 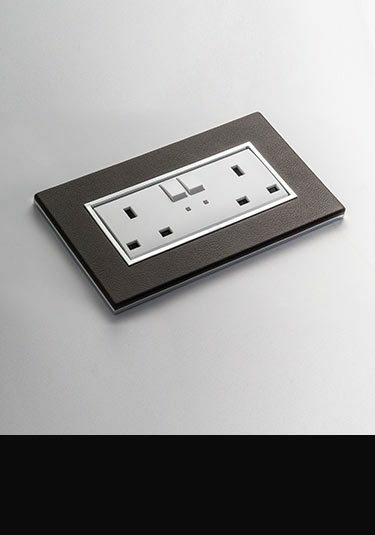 Italian electrical fittings in a luxury leather finish. These designer sockets and switches can be supplied as telephone, TV and satellite sockets, fuse spurs and data points as well as cooker switches. Made in Italy in real cream and brown leather.